I recall somewhere in 2017, the founder of the NDC, Ex-President Rawlings, stated the obvious when he asserted somewhat poignantly that Akufo-Addo inherited national corruption at its worst from the erstwhile National Democratic Congress administration (see: Akufo-Addo inherited ‘corruption at its worst’-Rawlings; ghanaweb.com, 2/11/2017). Believe it or not, sleazes and corruption, as former President Rawlings aptly articulated, were so pervasive in the outgone NDC administration. 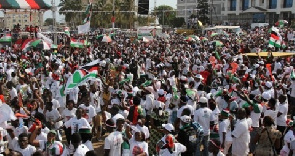 Understandably, however, to relentlessly grumble, write and squall about the sorrowful state of Ghana’s economy under the erstwhile NDC administration which the loyalists bizarrely perceive as innocuous or inconsequential, is to be regarded as a political extremist, or even as a radical conservative, who is mischievously seeking to discredit their beloved party. Ironically, former President Rawlings is said to have founded the NDC based on the principles of probity, accountability and transparency. 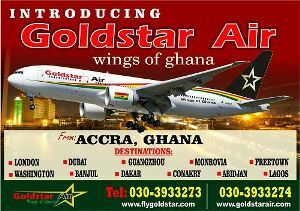 And yet sleazes and corruption were so prevalent in the outgone NDC government. The all-important question then is: where is their honesty and integrity when they squandered funds meant to transform the lives of the penniless in society through dubious deals such as the Brazil World Cup, the infamous bus branding, SUBA,GYEEDA, SADA, SSNIT among others? Clearly, their much trumpeting ethos of probity, transparency and accountability is a charade. It is rather an illustrative case of preaching virtue and practising vice. The sleazes and corruption, as a matter of fact and observation, pervaded every facet of the erstwhile NDC administration, and hence earning the famous descriptive epithet, ‘create loot and share’ administration. Unfortunately, however, the founders of the NDC accused and exterminated people with unfounded allegations of sleazes and corruption, including eight army officers. However, if we honestly juxtapose the alleged corrupt practices of the murdered army officers in the 1979 coup d’état with the sleazes and corruption which took place in the erstwhile NDC administration, we cannot help but to conclude that the Generals were “shot for less”. Dearest reader, the sleazes and corruption, so to speak, were so widespread to an extent that, the founder of the NDC, Rawlings, once shrieked and grouched openly: “I want to remind people that we could not have possibly forgotten that Generals were executed. The greed, corruption, and injustice of today is a thousand times more than what these Generals were executed for, and if we are unable to restore a firm measure of integrity into our dealings, then the blood of many would have been shed in vain” (Rawlings 2017). The story is told, in a historical perspective, that in their desperate attempt to lustrate the country off the perceived sleazes and corruption, the founders of the NDC fiendishly elbowed their way through Ghana’s political scene via a series of coup d’états, ruled despotically for eleven years and then formed the National Democratic Congress (NDC). In fact, despot Rawlings and his disciples proselytized and brainwashed many unsuspecting Ghanaians to believing that the people they deposed emptied the national coffers with an unabashed disgust and the only way forward was to purge the country of the perceived injustices. Consequently, Rawlings and his cohorts carried out what they termed “house cleaning exercise”. Rawlings and his conspiratorial plotters, however, went ahead and dealt with the perceived offenders arbitrarily. Rawlings and his cabal regrettably killed innocent people, many of whom were accused of legitimately borrowing meagre sums of money from banks to support their businesses. As a matter of fact, Rawlings and his NDC apologists kept trumpeting their perceived ethos-probity, transparency and accountability to the annoyance of their political opponents. Dearest reader isn’t it, therefore, ironic that the same people, who somehow claim to appall sleazes and corruption, and have therefore made probity, transparency and accountability their prime mantra, would then cause the collapse of Ghana’s economy through wanton sleazes and gargantuan corruption? Many observers apparently hold a strong view that Ghana’s economic downslide came about as a result of the unbridled sleazes and gargantuan corruption that have characterised the successive NDC governments. Tell me, dearest reader, will the Almighty God forgive the holier-than-thou NDC apparatchiks who have been committing the same crimes (sleazes and corruption) that their party founders accused and killed innocent people for? “The evil that men do lives after them”. And to those of you who believe in the Holy Book (Bible), it condemns murders in a number of verses. “Then the Lord said to Cain, “Where is Abel your brother?” He said, “I do not know; am I my brother’s keeper?” And the Lord said, “What have you done?” “The voice of your brother’s blood is crying to me from the ground. And now you are cursed from the ground, which has opened its mouth to receive your brother’s blood from your hand. How would the Omnipresent God feel when the people who committed the atrocious scandals (such as Woyome’s GH51.2M, $300M STS largesse, Millions of Ghana Cedis embezzled by the officials of SUBA, GYEEDA, SADA and the National Service Secretariat and all the dubious judgement debt payments amounting to GH800M) are all walking freely? Given that Ghana’s current economic downslide emanated from the unbridled sleazes and gargantuan corruption under the erstwhile NDC government, wouldn’t God be angry with the NDC apparatchiks for previously taking innocent lives for the same crimes they have been committing over the years.